PORTEmaus: Want to know the fastest way to kill a celebration... Clowns. Want to know the fastest way to kill a celebration... Clowns. It is celebration time! You know how it is celebration time? 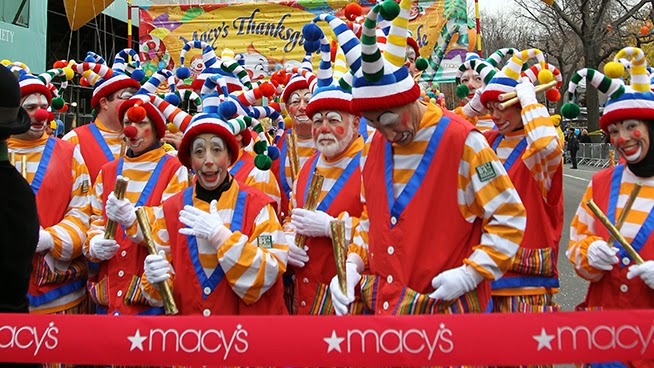 Nothing says party like a street full of clowns. Well, it was probably celebration time roughly one month ago when we hit another milestone. Yessiree, the Maus just broke the one hundred THOUSAND hit mark... A month ago. Sorry to be so belated but the usual happened... School, work... TV became crazy good. Alright, the last one was not true but it seems that I have been flooded with other projects. Who would have thought that this mediocre review of a Fun. concert would have the most hits? Did you check out Hatfield and McCoys? Hawk's review comes in at number Two. Anyway, I hope that you enjoy our modest piece of the Internet. I can safely say for everyone that we are glad that you stopped by.